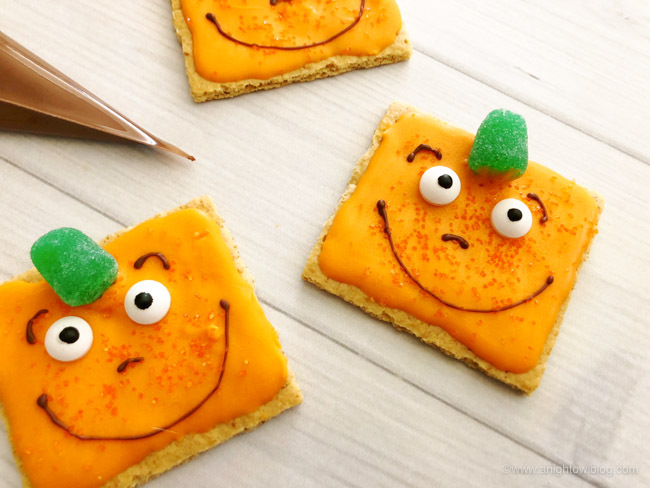 Perfect for Spookley fans, whip up these adorable and easy Spookley the Square Pumpkin Halloween Treats for your Halloween party and more! Hi friends! Who here loves Spookley the Square Pumpkin?! If you have little ones, chances are you might have some Spookley fans! If you haven’t heard of Spookley, you must get The Legend of Spookley the Square Pumpkin book! You can also stream Spookley the Square Pumpkin on Amazon! 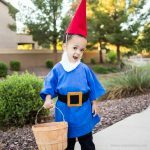 One day in the pumpkin patch the strangest little pumpkin hatched…. Spookley the Pumpkin was different. All the other pumpkins teased him, until Spookley proved that being different can save the day! 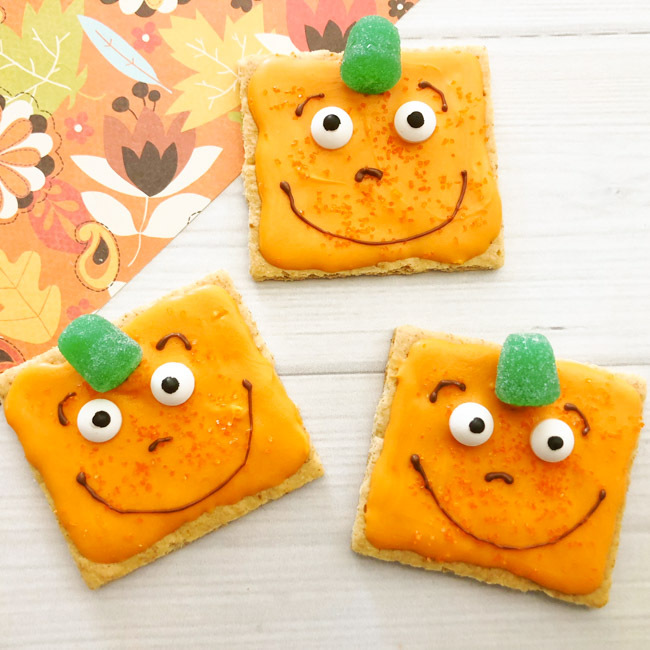 For all the Spookley fans out there, you know we had to whip up some fun and easy Spookley the Square Pumpkin Halloween Treats! 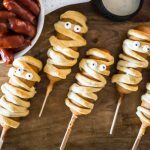 These would be so much fun for a class activity, Halloween party or just Halloween fun with your kids! 1. 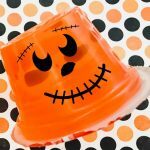 Heat 2 cups of your orange candy melts in a microwave safe bowl on 50% power for 3 to 4 minutes, stirring every 30 seconds until melted. 2. 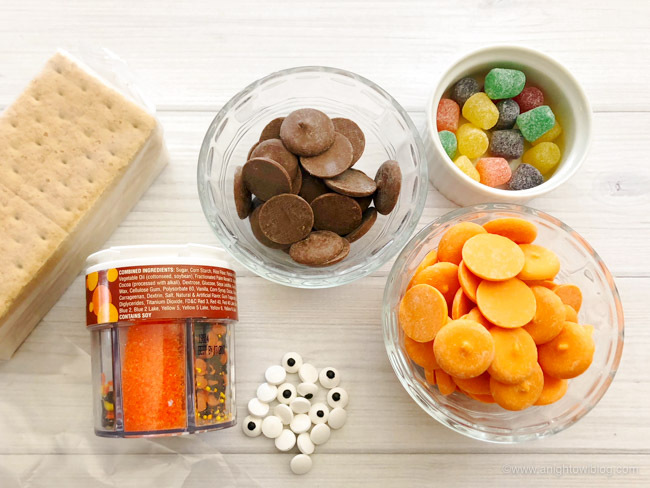 Carefully pour your orange candy melts into a decorating bag and cut a small tip off the end. 3. 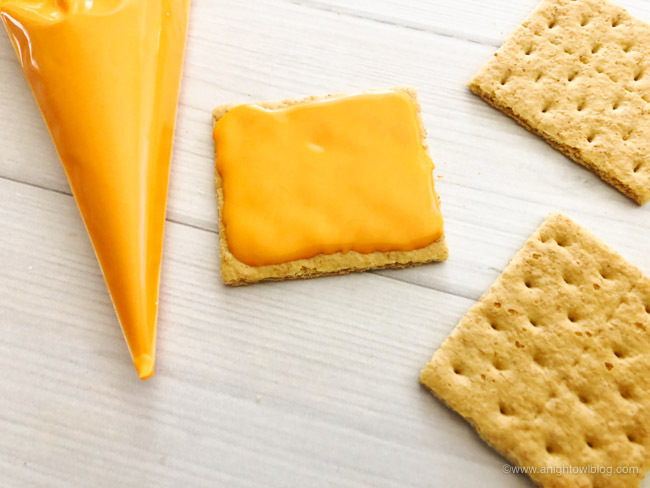 Break your graham crackers in half and use your decorating bag to frost the top of each graham cracker. 4. 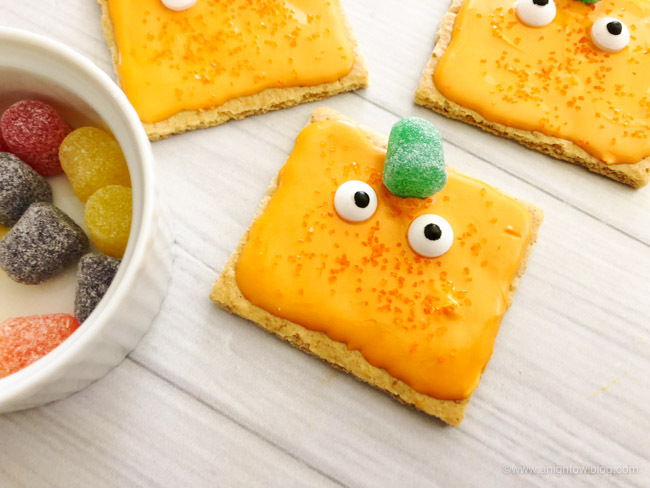 Sprinkle your orange sugar sprinkles on each gram cracker and place to candy eyes towards the top center. 5. 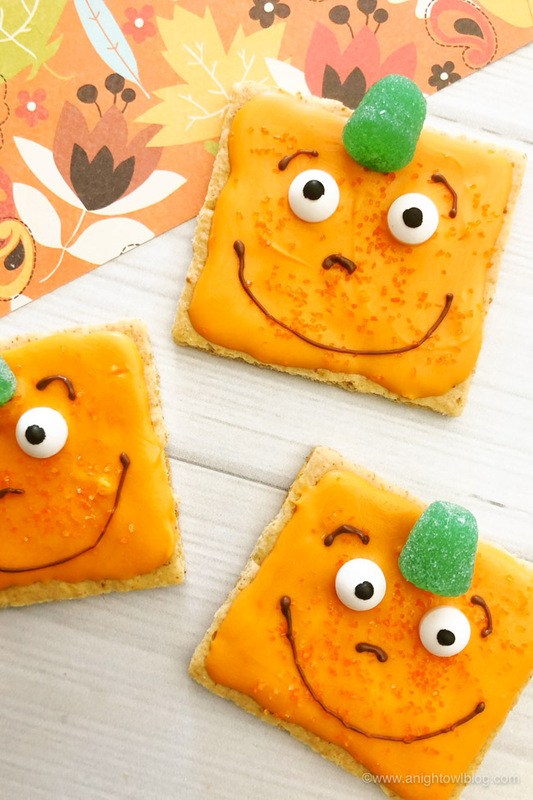 Place a green gum drop on top of the graham cracker to look like the pumpkin stem. 6. Now heat one cup of your Cocoa candy melts in a microwave safe bowl on 50% power for 2 to 3 minutes, stirring every 30 seconds until melted. 7. Carefully pour your cocoa candy melts into a decorating back and cut a tiny tip off the end. 8. Use your decorating bag to draw a smile, eyebrows and a nose with your Cocoa melts.